“Quickly sister, inside,” the voice of a woman said. Two hands reached out, grabbed the girls, and pulled them inside. At the same time there was an almighty roar like the sound of a thousand crashing waterfalls, as the Israelite army let rip a mighty shout. For a split second afterwards, there was silence. It was like the silence of eternity holding its breath, watching, waiting, expecting something awesome and terrible to happen. And then it did! The earth shook violently. The entire section of the wall of the house peeled off, like when you run a hot knife over butter. One moment it was there and the next it was gone. The walls of the city collapsed. With a thunderous roar they were flattened—slammed into the ground with such force, it was as if they had never been there. The waiting Israelite army surged into the city like a river bursting its banks in flood. 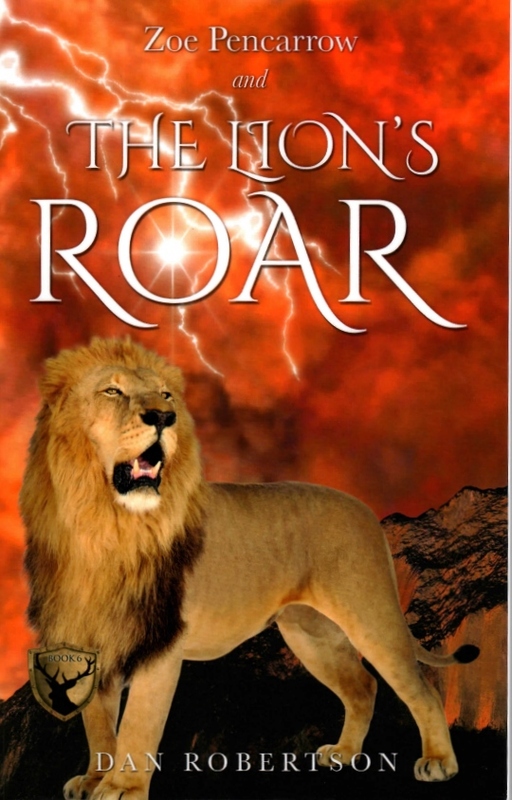 Jesus, the Lion of the tribe of Judah, has arisen, roaring at his enemies and declaring heaven’s victory. He is calling—tenderly, passionately for his Beloved Bride, his Jerusalem. Join Zoe as she encounters the magnificence and glory of Jesus, and learns that she too is called to shine and overcome the darkness at the end of the age. “Zoe Pencarrow and The Lion’s Roar” is an exciting but dangerous book! Definietly not for cowards or those who don’t wish to hear the truth! Dan Robertson has brilliantly managed to span so many different timeframes: biblical prophecy, historical events of the past, and future events that can be expected during the great Tribulation. Yet there are plenty of adventures here and liberal dashes of humour throughout. The tender and yet strong love relationship and intimacy between Jesus and His Bride can also be felt throughout the entire book. Dan Robertson isn’t at a loss for words to describe the character and emotions of this strong, incomparable Messiah. A true artist, he paints his picture with words which lend this work a very personal touch.